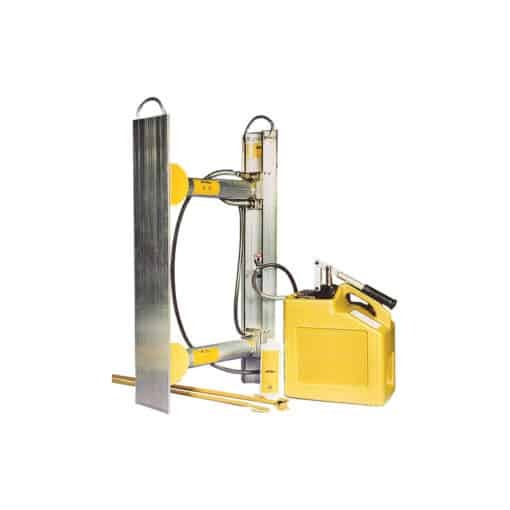 All aluminum hydraulic shoring equipment is available with interchangeable rail and cylinder sizes. This gives your crew the custom solution they need. Simply choose the appropriate rail and cylinder sizes from the list below. Easy to set up and take down, light and easy to move around are all good reasons to consider using aluminum hydraulic shoring or what some people refer to as “speed shoring”. Depending on the amount of time you need to spend in the ground and whether or not you need to move the equipment often, some construction companies use aluminum hydraulic shoring to save money too, since you may not need to rent as much equipment if you can add the set up and take down of these light, efficient systems in to your process. At TSR we’re committed to helping you find the best option for your next job and will work with you to make sure your crew has the training and documentation necessary to make the best use of the equipment you end up renting. From 5 locations across the Southwest and Southern California including Phoenix, Tucson, El Paso, Los Angeles, San Diego, and serving the area in between each location, you can depend on TSR. Contact the location closest to you today to get started. Easy set up and very flexible usage. TSR was super helpful. Especially when you don’t have a normal sized trench or you don’t have a crane to place a larger steel trench box.